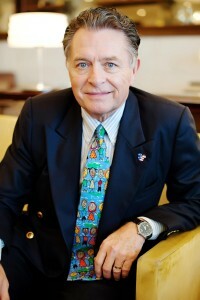 Lee was the executive vice president of operation for Walt Disney parks and resorts from 1997 until his retirement in 2006. Prior to being vice president to Walt Disney Parks and Resorts, he worked for Hilton and Mariott International. 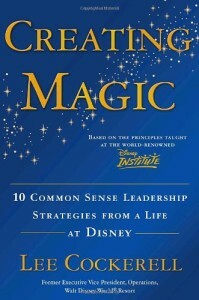 Lee is also the author of three books- Time Management Magic, The Customer Rules and Creating Magic: 10 Common Leadership Strategies From a Life At Disney. Lee: I was probably the most likely not to succeed when I got out of high school. I grew up in a little farm in Oklahoma. We didn�t even have indoor plumbing- we were so poor you could not believe it. My mother was married 5 times and I was adopted twice and I got my last name Cockerell. Husband number 4 had money so I was able to go to college but I flunked out and joined the army. I was in the reserves and became a cook in the army. While in the army, I met a guy who was going to open The Hilton in Washington D.C. We got there 2 weeks before opening night and I got myself a job as a banquet waiter. I had never really been in a big hotel but I was the best banquet waiter they had ever had and they next thing I knew they put me in a management training program. I stayed with Hilton for 8 years and worked in Washington, Chicago, the Waldorf Astoria in New York, L.A and then I quit. About 1973, I went to another job and was fired after 90 days. I then went to the Marriott and stayed for 17 years. I was made the Food and Beverage director and then vice president for Food and Beverage planning for the company worldwide. In 1990, I got recruited by Disney to open Disneyland Paris and after 3 years there, they sent me back to Orlando and put me as head of operations. I did that for 10 years and I retired 8 years ago. I started my own business of speaking, giving seminars, workshops, coaching, counseling. Here�s my advice, you gotta do two things- Don�t take everything seriously and just check everything out but also take some risks too. Don�t get stuck in some place you�ll be sorry for 30 years later. Lee: yes I was. Among the 300 guys in cook school, I came in number 2. The number one guy was a professional chef. I was a baker. I really got good following a recipe. That�s why I like the army, I like the discipline. HSLD: Would you say that you learned that or was that something natural? Lee: When you work in a farm you have responsibility even as a young kid. My brother and I worked our whole life up until we left home. I worked in lumberyards and that was one of the keys. We always had jobs. I�m worried about kids today that don�t work at 16, 17,18. They get out of college and are shocked. When you work, you get more mature, you work with adults and it helps develop you. I push parents today to make their kids work, even if they don�t want to! HSLD: Did you ever have any ambitions in terms of success? Did you expect that 10, 20, 30 years down the road you would be the executive vice president? Was that in your head at all? Lee: Nothing was in my head. I didn�t know anything. I was really out of it. I just went along and basically I was surprised every time I got promoted. But I think that Oklahoma work ethic- working hard, showing up on time everyday and raising my hand every time they asked somebody to do a hard job- some people just like it when you�re agreeable. I was shocked. I never had a long term plan. I just tried to keep my job and go to the next one. My theory is that nobody knows what they�re doing so if you have a good attitude and work hard then you�ll get ahead. HSLD: How is the transition from being promoted as an employee to now running your own company as the boss? �Lee: I love it! You haven�t lived until you don�t have a boss. I just do what I want, work with who I want, travel all over the world. HSLD: What made you want to get back into the army and talk to veterans about reintegrating? Lee: Being retired, I realized that being a teacher is probably the best thing you can do in life. People enjoy what you teach them and you can make a difference. This makes me far happier than bonuses, company cars and all that. Lee: Creating Magic is a book about leadership. Its about what I learned in the three places I worked over the years. Its in 14 languages now and is being used in universities and colleges everywhere. Its full of stories of how to be a better leader. HSLD: What are the leadership lessons that you drew from your years in Disney? 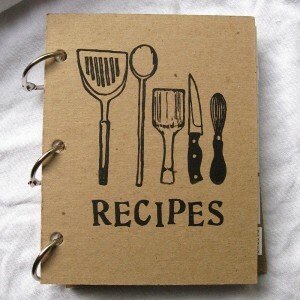 Lee: The first chapter of this book is called �Remember, everyone is important� . It really gives the message that you�re treating and leading everybody fairly no matter what their background is, their sexual orientation, what culture, what religion. Just focus on performance. That�s one lesson I learned. Also, be nicer, be more respectful and give people a break in life because a lot of people gave me a break. I guarantee if I hadn�t gotten those breaks along the way, I wouldn�t have made it. You can�t be successful without other people. 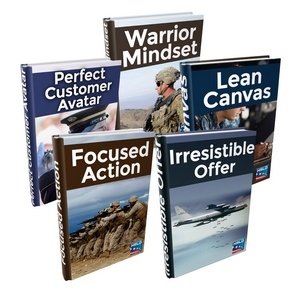 There�s also a chapter on how to hire people better, and how to create magic thru training. HSLD: What do you perceive as the biggest self limitation of people entering the workforce, of veterans reintegrating? Lee: I think when you�re making a big change from one environment to the other, like the military, I think people can be insecure, they underestimate how successful they can be so they don�t put their best foot forward. Don�t underestimate what you can do. Take whatever job you can do and prove it to people. Lee: I�m a pretty good writer, I wrote the newsletter for Disney all those years so I had plenty of material. That�s how I wrote all those books. The podcast- I was interviewed for a podcast but the guy came back two weeks later and asked if I wanted my own podcast so I did that. You don�t have to do everything yourself. You can always find people to help you. HSLD: What are you most excited about? Lee: I�m working on another book called Creating Career Magic. Hopefully it will be out next year. It will have advice on how to handle your career thru the ups and downs. I also have a podcast and an App! The Creating Magic app! HSLD: What your favorite Disney Character? Lee: I love Tigger. He has lots of energy, he�s always happy. 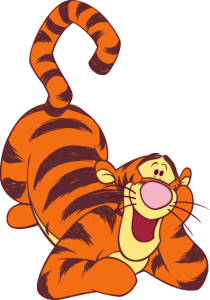 Everyone loves Mickey and Minnie but I love Tigger. I like being different.